He was born in Ashland, PA on January 3, 1924, the son of the late John and Dee Pulaski Malinoski. He attended schools in Shamokin, PA, New York City (now the site of Lincoln Center) and special courses at the American University in Washington, DC. 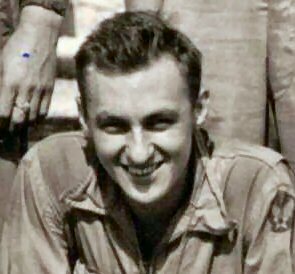 He entered the U.S. Army, assigned to the Army Air Corps, and was a trained radio operator on B29's and saw more than 30 combat missions in the Pacific Theatre. He earned the the Distinguished Flying Cross and Air Medal with Oak Leaf Clusters. After moving to New York City to work as a railroad conductor, his photography career began at Grand Central Terminal and Penn Station. The 5 passenger terminals on the New Jersey side were sheer utopia. This interest in photography led to him becoming a rail photographer, exhibiting in national and rail magazines, plus lectures, for more than 50 years and the publishing of two books: First book in color in 1991: "A Golden Decade of Trains: The 1950's, covering over 50 different roads during this time period. A second book in color was published in 2001: "Trackside Around New York City-1953-1968". In 2002, he was honored by the PRR Tech. & Historical Society, with Mayor Reed declaring May 5, 2002, as "Bob Malinoski Day" in Harrisburg. Robert R. Malinoski took his Final Flight on 16 September 2008 at the age 84 yrs. Interment is at Gate of Heaven Cemetery, Mechanicsburg, PA.